A recently introduced Celtics Tickets tool introduced by Financial Firebird Corporation's Boston.CheapTicketsBasketball.com site allows users to sort the Celtics home schedule at TD Garden based on price for either any seat, section 1-22 lower bowl areas or floor seats. The price tool allows users to select the cheapest NBA ticket based on their seat selection with more savings on top of comparatively lower resale costs by using discount code trycheapest10. There may be no other site anywhere that provides fans this kind of information to find low prices for Boston Celtics tickets based on seat preferences within TD Garden. 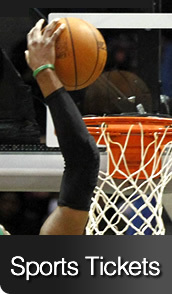 Finding Celtics tickets cheap represents a goal of Boston NBA fans everyday. Until now, hunting for low priced basketball tickets meant spending a fair amount of time. Thanks to the newly introduced cheapest event ticket tool at Boston.CheapTicketsBasketball.com fans may find the lowest TD Garden game prices in a matter of seconds rather than hours for all of the home Celtics contests. Once on the Celtics game tickets page, users may proceed in several ways. Start by imagining that a person living in Boston wanted to see the Celtics play in TD Garden and that they could attend on any day. With the best Boston NBA tickets sold out for months in advance most of the people needing tickets on shorter notice look to the resale market to sites like Boston.CheapTicketsBasketball.com. Let's go one step further and imagine that our hypothetical basketball buff wants a nice seat, perhaps a floor ticket. Without the advanced cheapest ticket tool a person would need to open the page for each and every game and look at all seats for sale to locate which days offered the lowest prices for the premium seats desired. The process could take hours or even days. By default the Celtics Game Tickets site displays the schedule sorted by date with a notation as to the cheapest ticket found for any seat location based on the system's most recent search. To sort the schedule in order of the least expensive games click on the words Most Recent Cheapest Ticket at the top of that column. Do perform the same tasks to establish the best games for either Loge 1-22 lower bowl seats or Celtics floor tickets click on the words describing your seat preference just above the horizontal line area resort by clicking on the top of the prices column again. The program defines floor tickets as the temporary seats that must be removed for Boston Bruins hockey games. It's easy to see the wide variance in prices game to game as the range runs from a low cheap Celtics floor ticket of $36 for the 76ers game 1/29 up to a cheap seat of $193 when the Celtics play the Heat 3/19. There may be no other site anywhere that provides fans this kind of information to find low prices for Celtics tickets based on seat preferences within TD Garden. As for prices themselves, Boston.CheapTicketsBasketball.com in association with Tickets-Cheapest.com offers tickets for less than other resale sites. In a recent cost survey they beat 25 out of 25 competitors in an exact seat showdown including proving they beat StubHub when each sold the same seat. The page operates independently of any particular ticket seller, the Boston Celtics, NBA or TD Garden, with its loyalty to fans buying tickets. Tickets-Cheapest.com can provide tickets all all the other major TD Garden events including Sting And Paul Simon on stage together, Cher in Boston, and two Katy Perry Boston concerts going on sale Monday. Sports fans may also find Rex Sox and Boston Bruins tickets too. Give Boston.CheapTicketsBasketball.com and Tickets-Cheapest.com a chance the next time a need for sold out seats or premium tickets arises. The site to buy Celtics Game Tickets Tickets online and its sister sites, including the Buy Cheapest Tickets online site all geared for the consumers looking for discount pro sports tickets, are affiliated with the Financial Firebird Corporation Travel Group. Financial Firebird Corporation provides unbiased consumer information, software and marketing services - established 2000 and a proud BBB member. 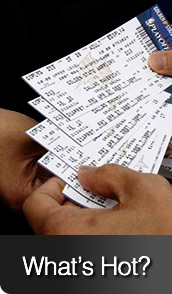 These sites for consumers to buy tickets online operate in the resale market and maintain no relationship with the venues or performers, the resale ticket market allows consumers access to popular events once the box office. Within the group of these secondary market ticket services the Financial Firebird owned ticket sites offer lower prices than competitors. 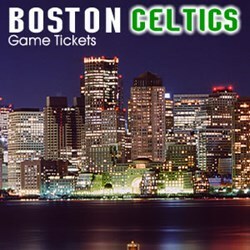 Find the sites at Boston.CheapTicketsBasketball.com and Tickets-Cheapest.com. Not affiliated with Boston Celtics or TD Garden or The NBA.